The shower stand raises the Otter to the standing height of the care giver for safe working, and is suitable for all three Otter sizes. 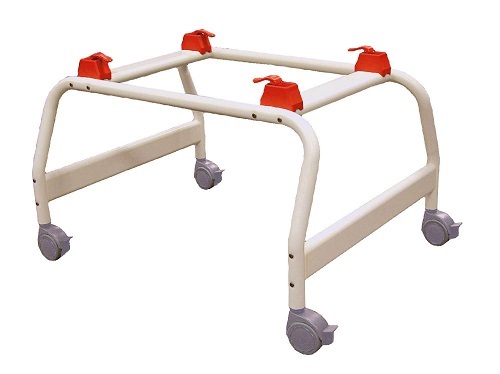 Sturdy aluminium stand is lightweight for handling and rust free for durability. Swivel castors facilitate manoeuvring and have four locks for stability when transferring / showering. 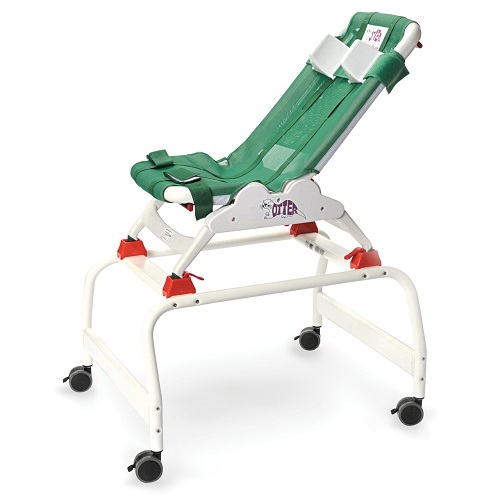 Quick-release locks allow chair to be easily attached or removed. Supplied unassembled for cost effective transportation / space saving storage.